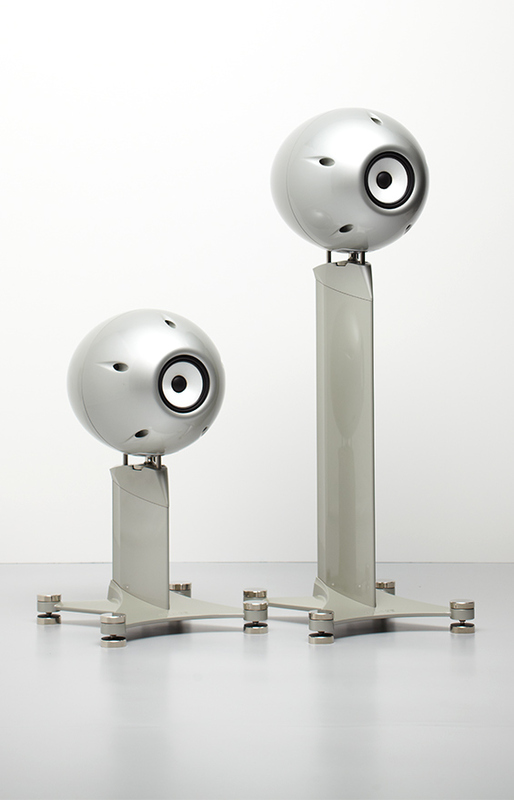 Three-way loudspeaker with on-board bass amplifierConstant Phase crossover for perfect phase at all frequencies at all timesSystem response 16 – 27 kHz, -3 dB (depending on Q setting and room size)Remote control for Q setting, Bass Level, Mute and Low CutTime-aligned front baffle curvature for identical arrival time from all drivers at the listening positionUltra-fast Air Motion Transformer tweeter with low-mass pleated metal diaphragmCustomised, extensively modified Danish bass and midrange drive unitsSpecial cone surround termination to eliminate edge reflectionsSymmetrical vertical driver array for ideal point source presentationFour Gryphon 8″ bass drivers for extreme speed and precision with massive air displacementCustom designed Gryphon bass amplifiers capable of delivering 500 Watts continuously per channelIntegrated Linkwitz-Greiner Q Controller with preset and custom Q settings for ideal low frequency integration in any roomIndividually adjusted passive mid/high crossover networkTriple-magnet bass/midrange driver motor system for maximum force and precise focusSealed enclosures with extensive internal bracingCombination of pure wool and synthetic interior damping materialsStylish string grille for driver protectionVirtually unlimited custom finish optionsDesigned and built in Denmark. The overwhelmingly positive reception of the Gryphon Poseidon, a four-tower system that occupied a considerable piece of domestic real estate, generated massive audiophile interest for a single-enclosure, full-range system that could perform to the same high standards in somewhat smaller rooms. The original Gryphon Trident was that system. 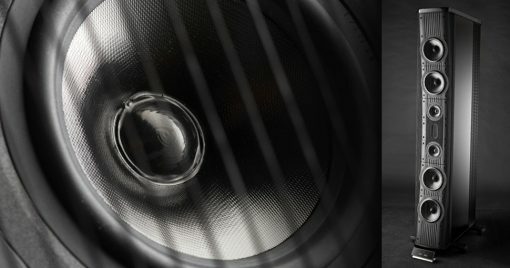 Now, the Gryphon Trident II breaks new ground in audio performance, exploiting innovative drivers and cabinet construction technologies to create a direct music conduit with consummate sonic neutrality, textural purity and dynamic ease. 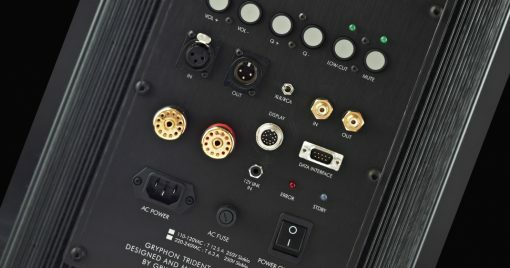 Revised versions of Gryphon Audio Designs products are few and far between for the simple reason that Gryphon has never brought a product to the marketplace, before it was fully ready for prime time. Because each product is allowed to mature in its own good time, the lifespan of a Gryphon model is far longer than that of the typical High End component that, if one is to believe the manufacturers, is suddenly outmoded and ripe for replacement after a single season. Gryphon products are never “flavour of the month.” They withstand the test of time and remain at the forefront in their respective categories for many years, because of the obsessive level of attention lavished on every aspect of the design. Based on Gryphon’s single-minded unity of purpose and tightly focused, well-defined objective – musical purity – change is never pursued for its own sake. 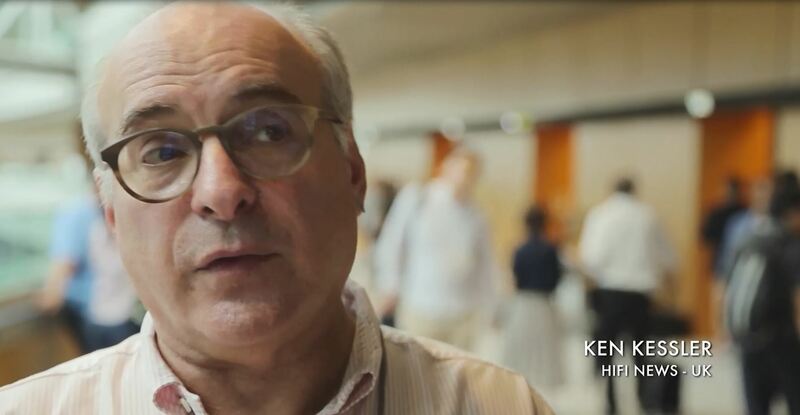 Revisions are implemented only when they offer a clear, significant step forward in musicality. 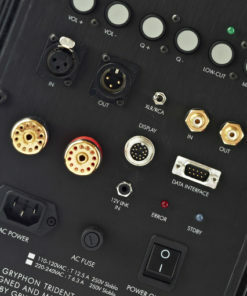 Fortunately, innovation comes naturally at Gryphon Audio Designs, where we take equal pleasure in pure, ground-breaking research and in the unalloyed joy proud users the world over derive from the fruits of our labours. Gryphon Trident II is housed in a slimmer, taller, massively braced enclosure with precisely contoured baffle and driver surrounds and baffle covering carefully selected and applied to effectively address baffle reflections and eliminate diffraction phenomena. The most crucial upgrade in Trident II is the implementation of an AMT (Air Motion Transformer) high frequency driver with minimal mass for instantaneous response to the audio signal. 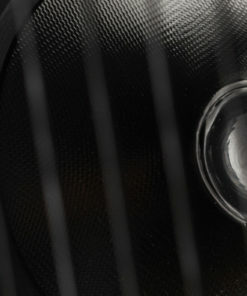 Because of its large surface area, the pleated diaphragm structure energises a large air volume with minimal diaphragm motion, for a highly desirable point source sonic presentation. 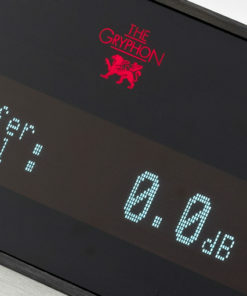 Eliminating fundamental issues of mass, inertia and internal resonance, the Gryphon Trident II high frequency driver offers lightning fast transients, combining flat frequency response well beyond 25 kHz with extremely low distortion and a total absence of compression. By implementing a unique configuration of dedicated bass power amplifier in conjunction with heavily modified drivers, handmade crossover components, proprietary Q Control room integration and a non-resonant enclosure, the Gryphon Trident II elegantly sidesteps the electrical and mechanical problems which plague lesser systems consisting of randomly assembled stock components. Conceptual and industrial design is as always by Gryphon founder Flemming E. Rasmussen. While constant phase has been acknowledged as a theoretical ideal for several decades, making that lofty goal a practical reality demanded lateral thinking and numerous labour-intensive, custom-built components specially designed by Gryphon in close collaboration with the manufacturers of some of the world’s finest drivers. 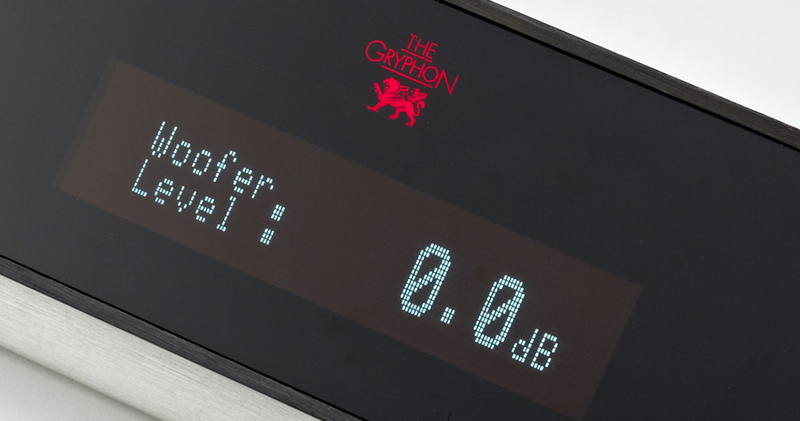 Living up to the extraordinary standards that set Gryphon loudspeakers in a class all their own, he Gryphon Trident II incorporates specially developed constant phase technologies to ensure that all drivers are in phase at all frequencies at all times. Few loudspeakers can truthfully make this claim and they are all made by Gryphon. As any acoustician will attest, this is quite simply a staggering achievement. Fortunately, it is also an achievement that any music lover can immediately appreciate, as it effectively prevents any veiling or smearing in the temporal domain, allowing the Gryphon Trident II to re-create the original acoustic event with laser-sharp clarity, alacrity and precision. 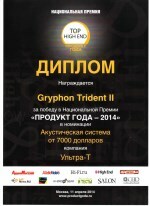 Thanks to this exceptional level of musical performance and ingenious engineering, Gryphon was immediately accepted as a loudspeaker manufacturer of the first rank and praised for tackling the endeavour with the same innovative flair that has firmly established Gryphon as a major international player with amplification components and CD players widely regard as among the very best in the esoteric world of High End audio. Gryphon Trident II will offer stunning audio quality in rooms of virtually any dimensions. 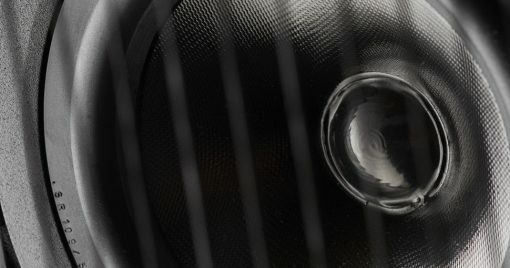 In order to live up to the uncompromising design goal of perfect phase all the time at all frequencies, the Gryphon Trident II enclosure incorporates a concave curved front to form a direct angled, time-aligned system with identical distance from the acoustic centre of each driver to the listener. All cone drivers are custom designed for low Q and minimal dynamic compression and built by an internationally respected Danish driver manufacturer committed to assembling drive units to Gryphon’s strict specifications. Highly focused, ultra-linear triple-magnet systems ensure total control of cone motion in the midrange and bass drivers. Specially developed surrounds match the geometry of the driver diaphragm and the fiberglass cone material is layer damped. Dust caps are non-deformable, low-mass and highly rigid. 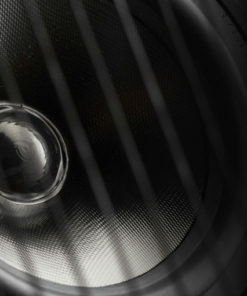 Two 5” Kevlar midrange drivers and four 8” bass units are precisely angled in a symmetrical vertical array above and below the extraordinary high-frequency Air Motion Transformer drive unit that moves air by driving an extremely low-mass folded sheet in a semi-perpendicular motion via a powerful magnetic field. The Trident II crossover network, based on wax-impregnated air-core inductors wound from copper foil and stacked foil capacitors potted in epoxy to resist mechanical interference, ensures undetectable, smooth transitions across the audible range. 28 V DC bias is applied to the capacitors, eliminating crossover distortion at zero electrical potential for audibly enhanced stability and substantial gains in body, timbral colour and image coherence. When it comes to loudspeaker-room interaction, most manufacturers cross their fingers and hope for the best. Rather than view the room as an enemy to be overcome, the Gryphon Trident II is designed to work with the room, employing Gryphon’s innovative room-adaptive technology to interface with the listening space via the on-board Q Controller. Active Q control as a theoretical concept was introduced in the 1950’s by Linkwitz and Greiner, but never successfully implemented until now. Gryphon Q Control exploits what others narrowly regard as a problem: an acoustical phenomenon known as room gain, the fact that in any room, the enclosed space will reinforce frequencies below the room’s resonant frequency. 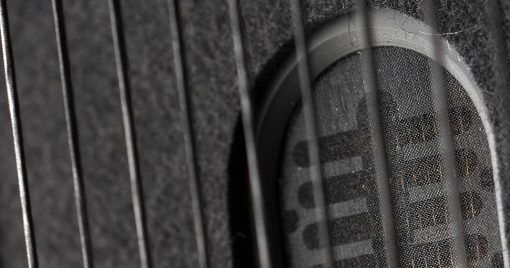 The Trident II Q Controller features pre-set and custom settings to seamlessly match the bass response of the speaker to the characteristics of virtually any room. Set-up of the Q Controller via remote control from the listening position is simplicity itself. Phase coherent Trident II bass is deep and solid, retaining all the natural tactile and textural qualities of live music. 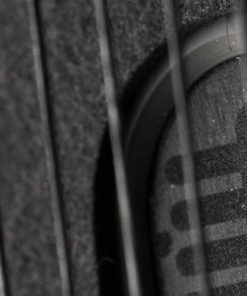 The built-in bass amplifier features the finest Sanken transistors and custom developed parts. Ultra-wide bandwidth and zero negative feedback contribute to the amplifier’s extreme speed and unconditional stability. 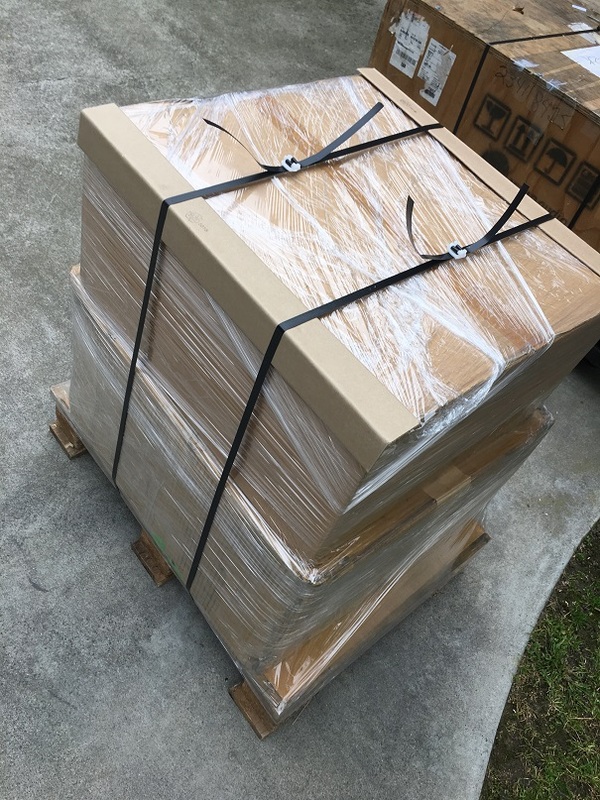 For fit and finish to match its performance, Gryphon Trident II side panels incorporate an innovative modular construction that makes removing and replacing them child’s play, offering the Trident II owner the option of re-dressing and updating the exterior of the loudspeakers at any time. 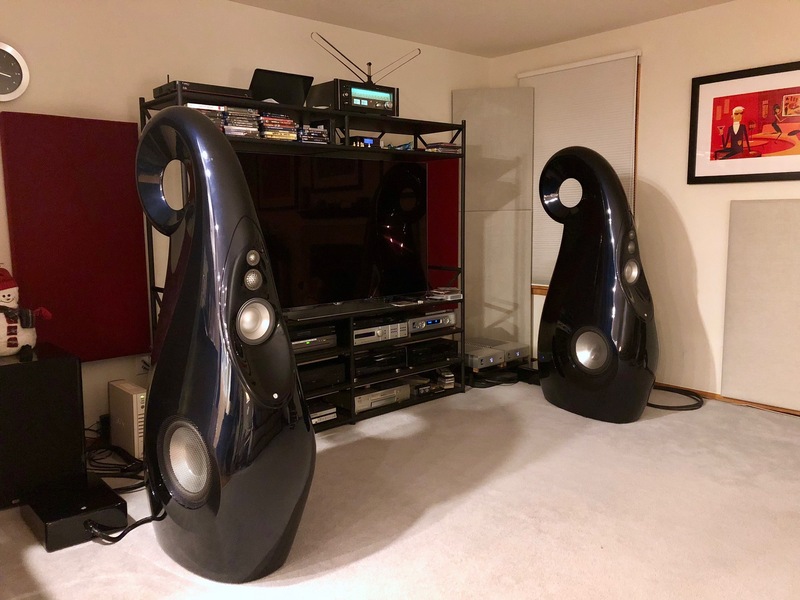 As was once the norm in High End audio, Gryphon Audio Designs is still run by enthusiasts able and willing to take risks and push back boundaries out of sheer curiosity as to what awaits in uncharted territories where no one has gone before. Like every Gryphon product from the very beginning, the Gryphon Trident loudspeaker system is based on rare insight into the true needs of the music enthusiast. This is the wellspring of inspiration and motivation that brings the Gryphon Trident II to life. The result is a dramatic increase in dimensionality, a heightened sense of freedom in the bass and enhanced presence and focus. Gryphon Audio Designs is proud to offer to the privileged few Gryphon Trident II, a direct connection to the souls of the performers.